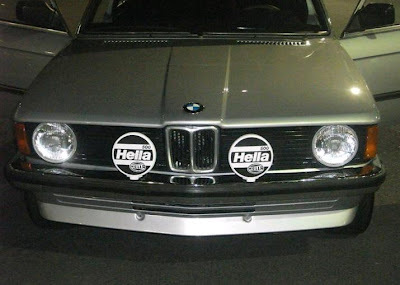 This is an interesting car to find in the US. The E21 316 was never officially imported into the US. 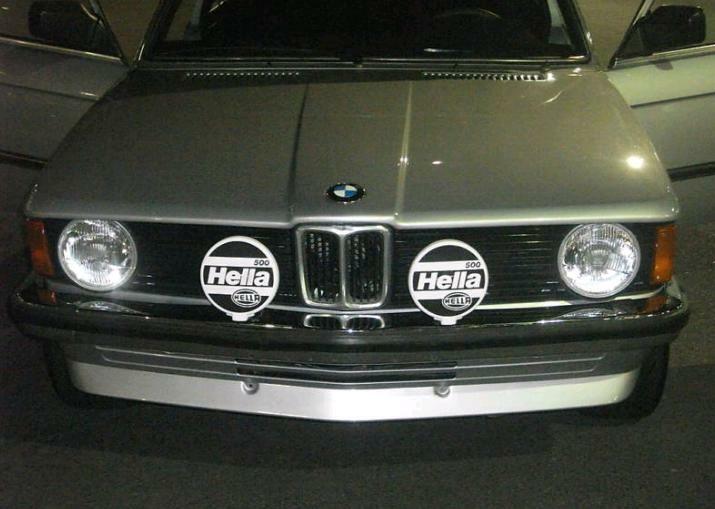 We got the 320i here. Originally it came with a 2.0 liter 4. 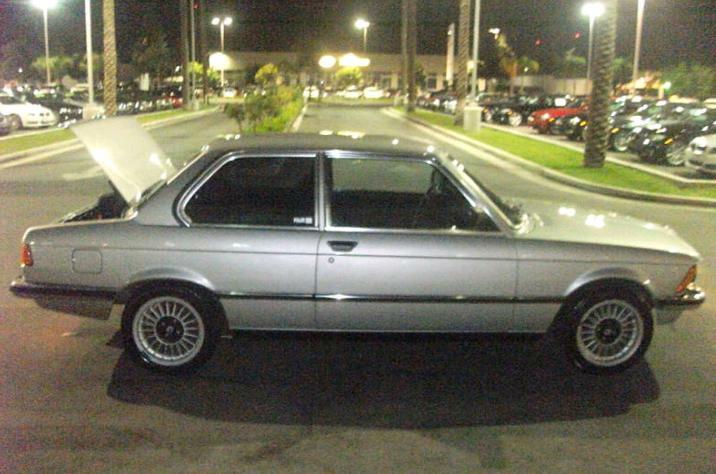 In 1980 BMW switched to a 1.8 liter 4, but still called the car a 320i here in the US. In Europe you could get a number of different E21s, including the 320 and 323 6 cylinder cars and the 318, 316 and 315 4 cylinder cars. Some BMW enthusiasts, looking for the extra HP of the 6, imported the 323 through the gray market. Rarely was the 316 imported, which is what makes this car interesting. What makes the European versions of these cars so desirable (besides the 6 in the 323) is the body. Where we got quad sealed beam headlights, the Europeans got very nice looking dual headlights. The European versions also have smaller bumpers and no sidemarker lights. All-in-all it is a much cleaner looking car. This car was brought to the US by a US serviceman. It has a salvage title. The seller writes "As far as the Carfax, after being imported to the U.S by a military personal, it was ran through a salvage dealer in California and that's all I know of why it has a salvage title on it, there is no damage to the car nor has it ever been damaged." I have no idea if this is possible, but I'm wondering if having it retitled as a salvage vehicle somehow got it around the EPA and DOT certification that would usually be needed to get a car like this into the country. That's just a thought I'm throwing out there. I have no idea if it's true... Being over 25 years old, that no longer matters for this car, anyway. 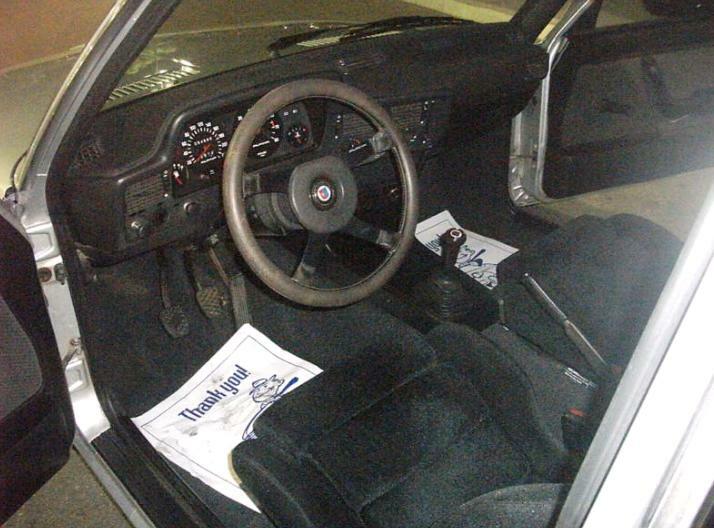 The seller states that he's selling it because he can't get it to pass the California emissions test. That, of course, is a big problem if you live in California, but might not be a problem in many other states. Here in Massachusetts, for instance, any car built prior to 1995 is exempt from emissions testing. As long as the car isn't blowing absurd amounts of smoke, you'll get your inspection sticker (assuming it passes the safety tests). 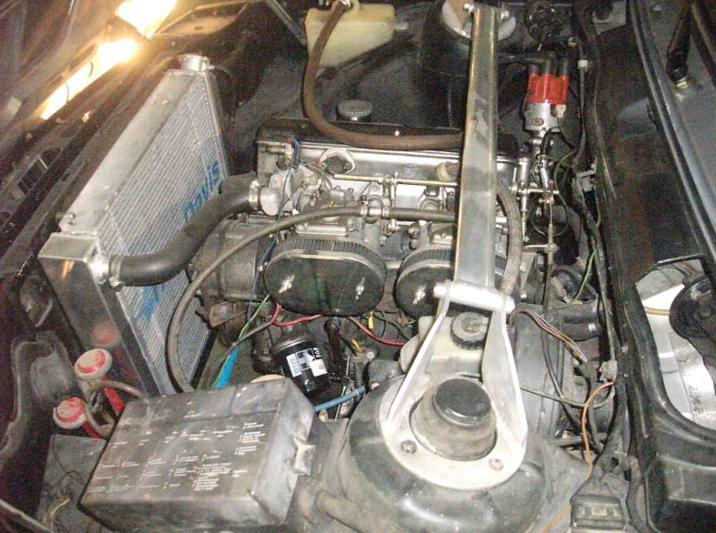 The car now has a pair of sidedraft Webers on it in place of the Solex carb. That might give this car enough of a horsepower boost to put it on par with the US spec 320i. It may even have a little more, if the cam was changed with the carb. The body and interior look great on this car. The seller says it's been restored, but is not certain of what was done. The paint looks great and the Hella driving lights are a nice touch. The car has had a strut brace fitted. The interior, while austere by today's standards, looks to be in great shape. I've always liked the shape of the dash and the instrument cluster in the E21. This is just a neat little car. The opening bid is $3800.00. It's a car that I would most certainly want to look at before bidding on (just to see how well the restoration was done and to make sure it's not failing emissions testing because of bad rings or something like that), but if everything looks OK, it would be a really cool car to own here in the US. Located in Bakersfield, CA, click here to see the eBay listing. Salvage cars are those that have been damaged or totaled, paid off by insurance firms, who then can sell these cars to individuals or dealers who want to restore them. Back in the early 1980s I had a friend who used to go to the salvage auctions. The cars he bought were issued brand new salvage titles. The rules were pretty lax back then and I was wondering if it was possible that this car was mysteriously "totaled" in order to get a new (legit, but salvage branded) title. In other words, if you brought the car to the US for off road use or show only and then had it totaled, would you be issued a salvage title that then made it possible to register the car? Like I said in the post, it was just a thought. BMW is one of the most beautifully designed and very stylish cars design by automotive sector, When you buy cheap BMW you will be riding on one of the most elegant and stylish cars that you will ever find in the market.